Promoting prosperity in the Gay Community. We help our community’s youth by providing caring adult mentors in 1-to-1 professionally supported relationships. Casa Q will provide a variety of safe living options and other related services for young lesbian, gay, bisexual, transgender, queer and questioning (LGBTQ) people at risk of and/or experiencing homelessness. We plan to open our first home in September 2013. We envision a fair and inclusive New Mexico. The adventure that transforms lives empowering GLBT youth. FB Search: NMPower Albuquerque. A community based organization whose mission is to enhance the quality of life for people and communities affected by HIV/AIDS. 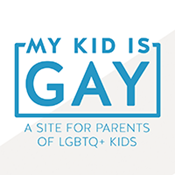 Provides a support system for families and friends of the LGBT Community. Planned Parenthood of New Mexico is proud to serve our LGBT friends & Family. 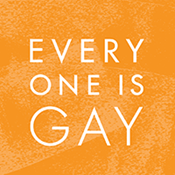 Provides social and educational programs to enhance the lives of older gay, lesbian, bisexual, and transgender individuals in Albuquerque. TGRCNM is dedicated to serving the transgender communities in the state of New Mexico and strives to exist as a clearing house for resources which can support, assist, educate, and advocate for the transgender population of this state and their families and loved ones. To increase education as to health and social issues of the LGBT community. To provide service to UNM students, faculty and staff of all gender identities and sexual orientations through support advocacy education and safety. Annual Los Ranchos Pride. FREE, FUN, FOOD, FAMILY & FRIENDS. New Mexico Chapter of the Lambda Car Club International. We’re a community of dancers, and are part of a larger community…our own local gay and lesbian community and the world wide community of gay and lesbian square dancers. We are a GLBT & GLBT friendly bowling league – The only one in town. We are a fun league that believes bowling should be fun.